When it comes to power tool quality, you can’t look past the original pioneer – Fein. Founded in 1867 by renowned inventor Wilhelm Emil Fein and his brother Carl Fein, the company has a proud history of manufacturing some of the finest power tool products for trade professionals. 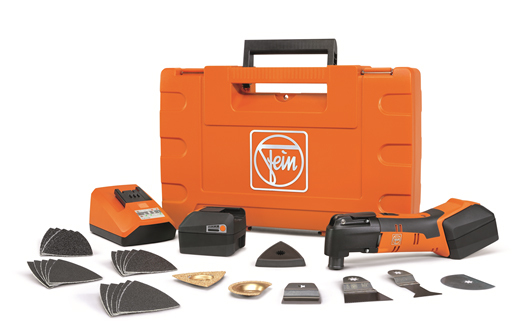 Manufactured in Germany by expert engineers, and with industry leading experience, Fein products are developed and designed to provide ultimate user satisfaction. In short, Fein is a brand you can be sure to trust. Famous for inventing the first hand-held electric drill in 1895 and the first oscillating tool in 1967, Fein is now recognised for its superior grinders, drills, electric screwdrivers, and oscillating tools such as the Multimaster and the Supercut. The Multimaster is easily recognised as the best oscillating tool on the market and highlights Wilhelm and Carl Fein’s demand for supreme quality products with unsurpassable performance. With a wide range of applications, the Fein Multimaster is the number one system for interior fitting, furniture renovation, tile restoration, car and boat maintenance, and a range of other jobs. The top of the range Multimaster allows users maximum convenience with the ability to change tools without a wrench thanks to the QuickIN clamping system. The AFMM14 Cordless Multimaster is a relatively new addition to the Multimaster range. It features a high-torque motor with the same power as the mains-powered version and a high battery capacity and maximum performance thanks to 8 Lithium-Ion cells. A display on the side of the battery will enable you to monitor the battery charge levels to ensure you never run out of power on the job. The Cordless Multimaster is extremely versatile, with the ability to perform a wide range of jobs including sawing, rasping, scraping, grouting, sanding, polishing, cutting, and a whole lot more, on a vast array of materials. It has optimum handling thanks to the soft grip zone, as well as an 8-star tool mount with excellent torque transfer, dramatically improving the ease of use. The electronic speed control and integrated interface for attaching additional accessories allows the user to customize the tool whatever the task. 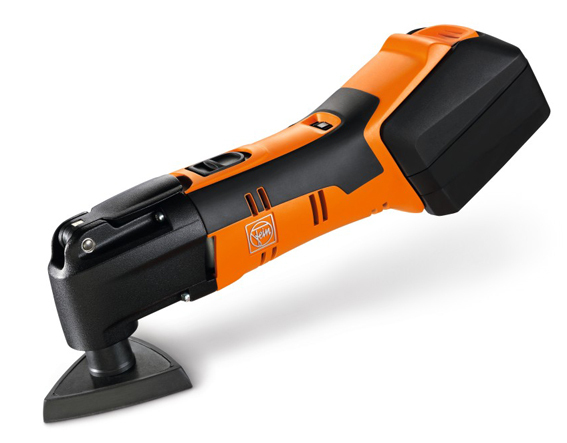 The Fein AFMM14 Cordless Multimaster retails for $499.00. For more information on the Fein products or to find your nearest dealer log onto the Fein website at: http://www.multimaster.info/en_au/ or call Fein directly on 1300 798 688.